Living in a tiny house can make you happy! What do you get when you put together a bunch of teeny-tiny spaces, the magic of building homes and two lively and helpful experts together? A winning formula for a hit TV show, no less. 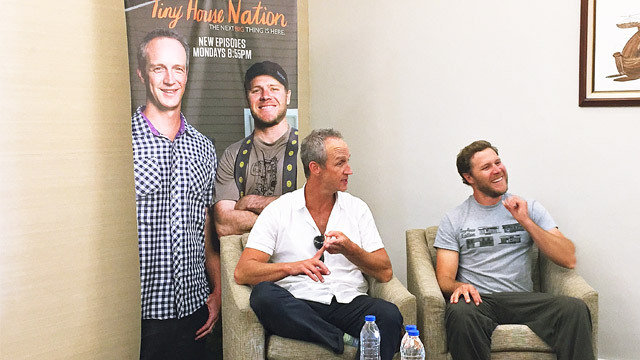 An American reality TV show that airs on FYI, Tiny House Nation premiered in 2014 and has gained a strong following ever since. Who wouldn’t be hooked anyway? It follows John Weisbarth and Zack Giffin across America—not just to showcase homes that measure 500sq ft. or less, but to help homeowners conceptualize and achieve their own mini home, too. Trust us, after one episode, you’ll binge-watch an entire season for sure. Last week, Filipino fans were treated to an unforgettable experience as aside from HISTORY Con 2017, FYI also held its first Home & Living Fair—with the hosts of Tiny House Nation and Destination Flavour as special guests. Since we at Real Living find joy in discovering creative homes and sharing helpful tips to homeowners, we seized the opportunity to have a quick interview with John and Zack about a topic that’s close to our hearts—small spaces! Human needs should always come first. A tiny house project (or any project) should be a collaboration between the homeowners and the professional. John shares that it’s their job to take the homeowner’s desires and make them work. Perhaps one of the show’s secret ingredients is how they’re able to incorporate the needs of the owners into the final output. “Zack never says no. What he says is ‘Okay, we’ll figure out how we’re going to make it happen.’ Because a lot of times, [what they need] is the difference in making this house work for these people. If you don’t have this thing that they need, that personal thing of ‘Who are you?’ then the house isn’t going to work,” he explains. A home’s final look is the homeowner’s call. “John likes to tell people: ‘We can fit anything into the home, we just can’t fit everything.’ I really like that because it’s true. It’s not up to me to dictate what paint color it is because at the end of the day it’s their home. Our job is to really build the space the way they want it,” shares Zack. Bring the outdoors in and make it part of your tiny house. 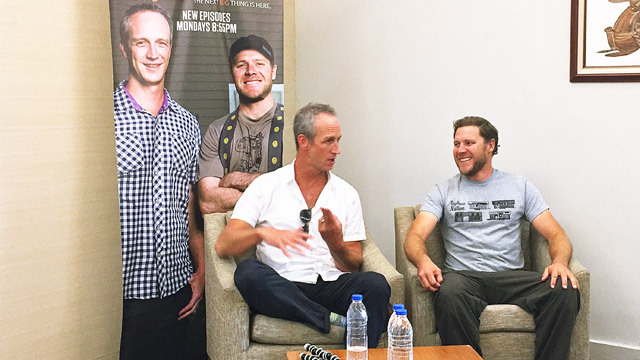 When asked about what makes an ideal Philippine tiny house, John and Zack both highlighted the importance of having an outdoor area. “I would have a small space that is well-insulated so you can cool it without a lot of energy cost. And I would definitely incorporate quite a bit of outdoor area,” says Zack. “We talk about that a lot, it doesn’t really matter what the climate is. We always talk about bringing the outdoors in, but also having an actual outdoor space where you can stretch out a little bit. You can make the tiny house feel bigger, you have a connection with the outdoors, and you get to up the square footage of your livable space,” John adds. Don’t limit yourself when it comes to design and small space solutions. “I would just recommend to not close your mentality about what a tiny home could be only to what you see on the show. Everything we do—trying to make the space as efficient as possible and what John does to try to help people pare down on the things that aren’t contributing to their happiness can be done in an apartment, in a condo, and in a home where the family is bigger,” says Zack. A big piece of furniture or an architectural element can add to a home’s aesthetic appeal. “If there’s something that’s in the way like a staircase or a table, try and make it really execeptionally beautiful. Aside from serving its function, it can also lend a quality aesthetic element to the space. It can almost be like a piece of art that you happen to walk up and down on,” shares Zack. 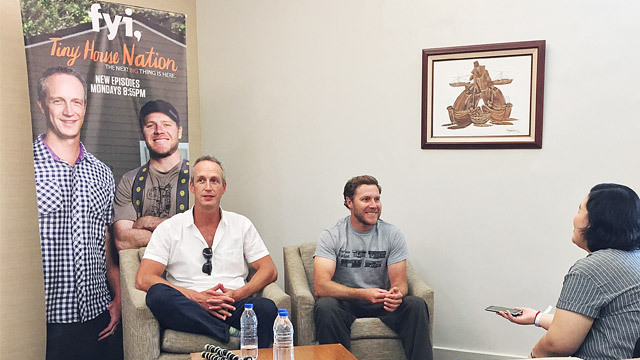 As we patiently wait for new episodes of Tiny House Nation to air on FYI, we're also excited to see the condo John and Zack worked on here in Manila. We did a bit of Instagram stalking and the two had a shoot in Quezon City, too. Whether you live in a 15sqm house or you're planning to build your own tiny dream home, keep in mind that you can still live life to the fullest. It takes creativity, the things you love, and the right pieces that can help you make the most of every inch of space to make it a reality. 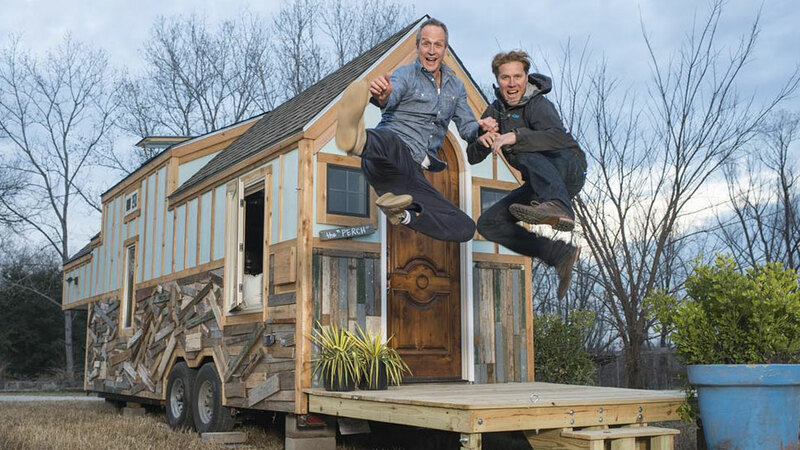 Tiny House Nation airs every Monday at 8:55 p.m. on FYI. Follow the show on Instagram: @tiny.housenation. You can also follow @fyiasia, @johnkweisbarth, and @zackgiffin for updates.